Do you need a ruggedly made two-way VHF radio to communicate in a challenging outdoor environment? Give us a few minutes, and we’ll provide you with a guide to The Best Two-Way VHF Radios on the market today. They’re designed with military-grade durability, wide range and with many advanced features. 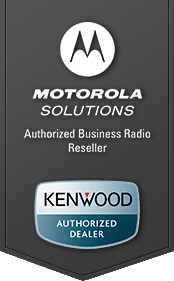 These high-quality VHF radios from Motorola and Kenwood will meet and exceed your expectations. For a license-free VHF two-way radio, there’s the Motorola RMM2050. Operating on the Multi-Use Radio Service (MURS) frequency band, this 5-channel, 2-watt radio has an outdoor range of up to 250,000 square feet and an indoor range of 20 floors. It features VOX hands-free operation and complies with stringent MIL-STD 810 standards for extreme durability. It is also IP54/55 compliant for optimal reliability in harsh outdoor conditions. This means it can withstand dust, water, vibration, shock and fluctuating temperatures. With its economical price and no need for an FCC license to operate, this is a smart choice for companies with a tight budget. For even more flexibility, power and the most advanced features, the Motorola RDV5100 is an extremely powerful VHF two-way radio. It provides 5 watts of power and 10 channels, with an outdoor range of up to 300,000 square feet, the widest range in Motorola’s RDX series. It includes 27 Business Radio frequencies ranging from 146-174MHz and 213 interference eliminator codes for a crystal clear and secure signal. Features include advanced voice activation for hands-free communications and programmable preferences. The RDV5100 is also designed for maximum durability, meeting MIL-STD 810 and IP54/55. With its polycarbonate construction, this is another leading two-way VHF radio for extreme conditions. It’s also one of the most flexible radios made, as it has a removable antenna and can be used with the Ritron VHF base station repeater for even greater range. Kenwood also manufactures exceptionally well-designed VHF radios that lead the industry in power, range, durability, design and advanced features. The economically priced Kenwood TK-2400V4P is a 2-watt, 4 -channel VHF radio with an outdoor range of up to 6 miles or 220,000 square feet. It meets or exceeds the 11 categories of MIL-STD 810 C, D, E, F and G environmental standards tests. It offers VOX hands-free operation, wireless cloning, weather-sealed construction, a voice inversion scrambler and a compact design. At the top of Kenwood’s line of premium VHF two-way radios is the Kenwood TK2402V16P. It has 16 channels and 5 watts for a powerful outdoor range of 7 miles or 370,000 square feet. High-end features include a removable antenna, so you can switch to a lower-profile stubby antenna to make the unit even more compact, hands-free operation and wireless cloning. It offers 56 frequencies and 121 privacy codes, scanning capability, polycarbonate case and up to 17 hours of battery life. This model also meets MIL-SPEC 810 C/D/E/F/G requirements.